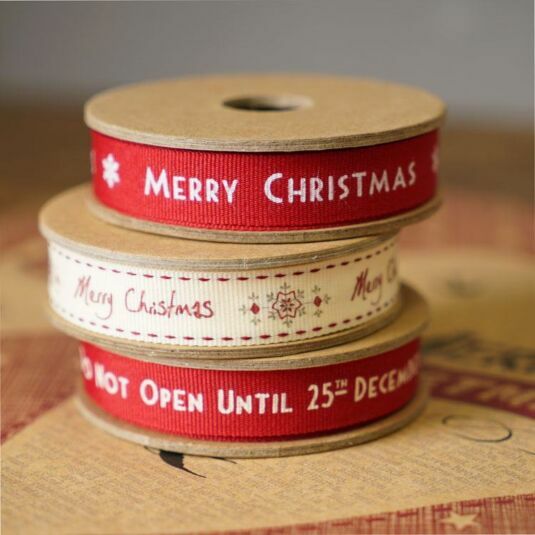 Get decorative with this festive ribbon from East of India. Nothing says Christmas like the joy of opening presents, and this ribbon is a must for enforcing the present-opening law! 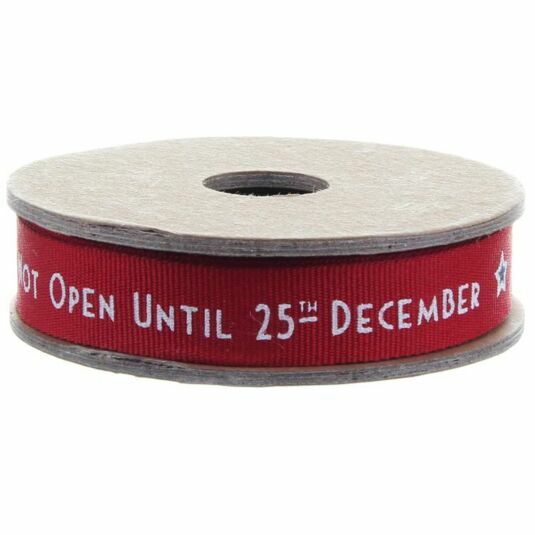 It is red in colour with the words 'Do not open until 25th December' running in white along the middle, separated by grey and white stars. You can add a length of this 3m-long ribbon to a wrapped present, to a present that's too big to wrap, or just as a decorative touch around the house.